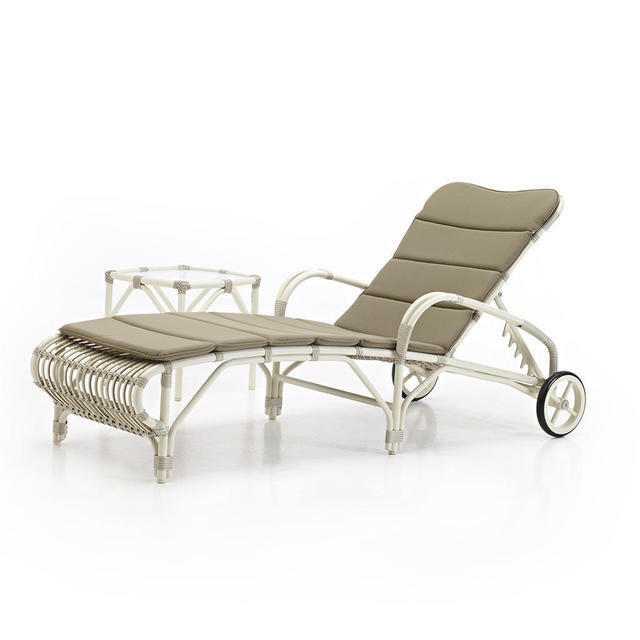 Beautiful retro styled all weather outdoor relaxing sun loungers. 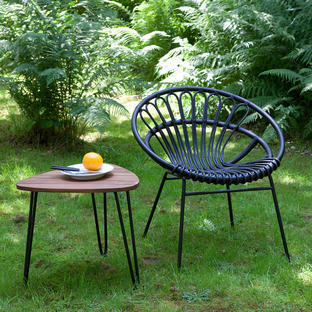 Gorgeous retro-styled all weather outdoor lounge by Vincent Sheppard. The sunloungers have a powder-coated frame and have handcrafted all weather wicker, the furniture can be left outside all year round. There is a choice of cushions, either order the Lucy Sunlounger with a standard taupe cushion. 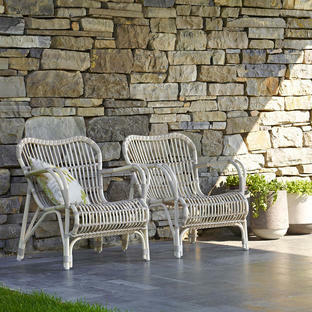 As an optional extra, order the lounger with Sunbrella outdoor fabric cushions. Simply enter your colour choice in the box shown. 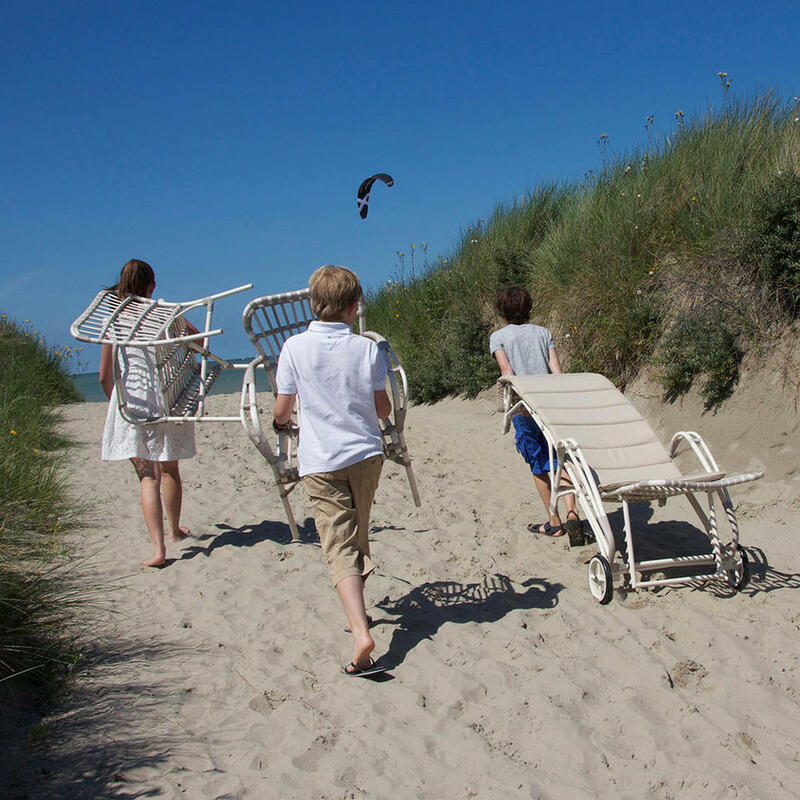 Sunloungers are from a powder-coated aluminium frame and handcrafted wickerwork in resin. 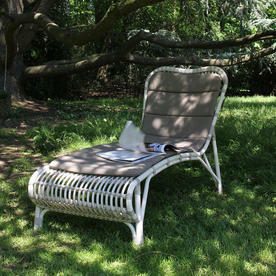 The sunlounger has wheels to allow easy movement, the weave is an off white colour. There are 4 back positions on the lounger. Cushions are either made from standard taupe outdoor fabric or from Sunbrella fabric which is an outdoor acrylic material, UV resistant and mildew resistant. The sunloungers are easy to maintain, simply wash the frame down after the winter with mild soap and water.